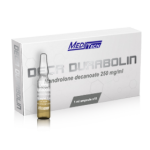 DECA-DURABOLINNandrolone decanoateGreat mass and weight gain. No cosmetic side effects. Free of andr..
EQUIPOISEBoldenone undecylenateIncreases appetite. Highly anabolic. Enhances perpetual pump & pr..
SUSTANON-250Testosterone blendMassive strength & weight gain. Great testosterone mix for peak bl..
T-PROPTestosterone propionateFast-acting testosterone ester. Great for strength and mass. Perfect fo..
TESTO DEPOTTestosterone enanthateLong-acting testosterone ester, natural hormone provides solid musc..
TREN-100Trenbolone acetateShort-acting trenbolone ester. Explosive high quality mass & strength ..
TREN-DEPOTTrenbolone enanthateLong-acting trenbolone ester. Highly anabolic & androgenic. Explos..
WINSTROLSuper micronized StanozololPromotes a hard and dry look. Increases vascularity, strength and..